STILLEN Transmission Cooler Kit - Dezod Motorsports Inc - Home of the automotive performance enthusiast since 2002. With automatic transmissions, performance and longevity are reliant upon temperature. Reducing internal heat eliminates the chance of overheating fluids, which causes viscosity breakdown and transmission strain. Therefore, a cooler running trans lasts longer. 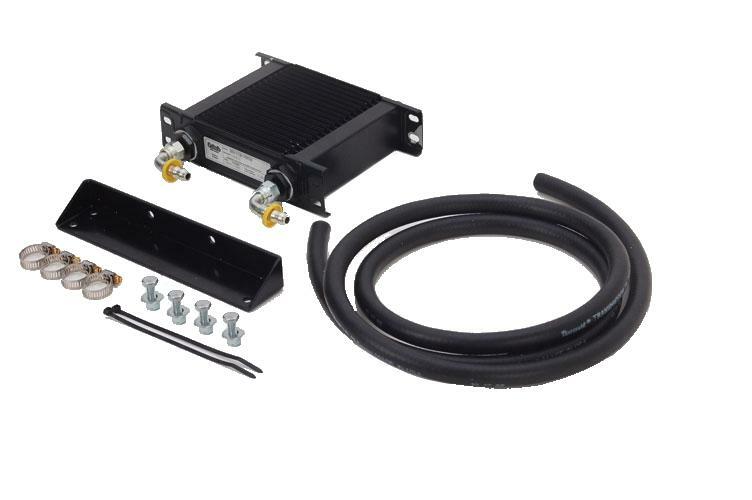 Help protect your transmission on the street and at the strip with this complete transmission cooler kit. Includes all the necessary adapters, fittings, and hoses you will need for installation.